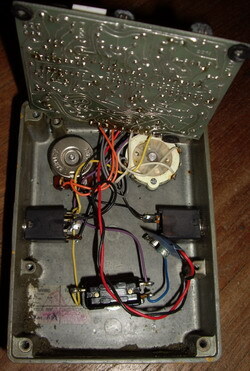 This pedal is a real vintage original with an unmistakable sound (e.g. The Rolling Stones “Beast of Burden”) that will always keep its value. It should be part of every serious pedal-collection ! 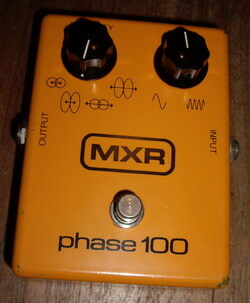 The MXR line of phasers had already reached legendary status by the end of the 70's with good reason. They had successfully produced the ultimate rock phaser and players from around the globe couldn't get their hands on them fast enough. From humble beginnings to corporate takeover, MXR as a company would experience a roller coaster ride of fortunes won and lost. It is an opinion held by many, myself included, that they produced their best products in their early years. Thankfully, they made it easy to distinguish this key period of manufacture. 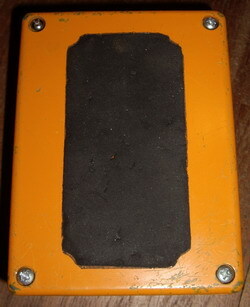 Have a look at the MXR logo on this pedal. It is written in a flowing script font. 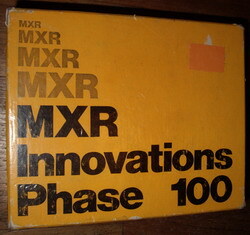 MXR were only producing their phasers with this font between the years 1974 to 1977. In 1978 the company started using the 'Block' logo that most of you will be familiar with. Subsequently, script versions of MXR's classic pedals are very sought after and will cost you more, a lot more. This little beauty is often referred to as 'the working mans phaser' and a quick tour around its toneful offerings reveals why. 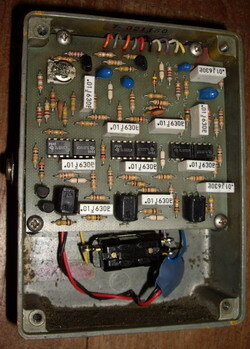 It's like having four phasers in one as each of the four intensity levels selected by the four position rotary switch on the left has its own distinct voice. The great thing about using effects of such quality is that the settings are only ever a personal preference as opposed to only having a select number of usable sounds. Basically, no matter how you set it up, it sounds great. The Phase 100's flexibility is directly responsible for its massive list of users which includes the late great Gerry Garcia, John Frusciante (listen to the solo at the end of 'Parallel Universe'), Yngwie Malmsteen and Brian May to name but a few.